During our monthly PLC call/webinar, we invited guests Randy Ziegenfuss and Lynn Fuini-Hetten from the Salisbury Township School District. We discuss the topic of Developing the Profile of a Graduate and Moving to a Personalized Learning Environment. Randy and Lynn are also the hosts of the podcast TL Talk Radio: Leading Teaching and Learning. 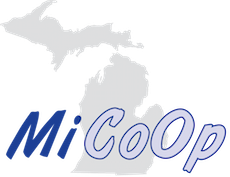 © 2019 Michigan CoOp. All Rights Reserved.